Some people are hesitant to set up trust instruments because of some common misunderstandings about how they work. Namely, there is a false but widespread perception that trusts are expensive. Laymen often balk at the mere mention of the word trust, but the reality is that the trust agreement can lower the costs of probate when used properly. Under certain conditions, as I’ll share in this article, not having a trust in place can be a costly mistake. A trust is a legal contract that allows a third party to manage assets on your behalf. Sometimes, people use the words “will” and “trust” interchangeably, but this is not correct. A will is a specific type of trust which pertains to a deceased person’s assets. 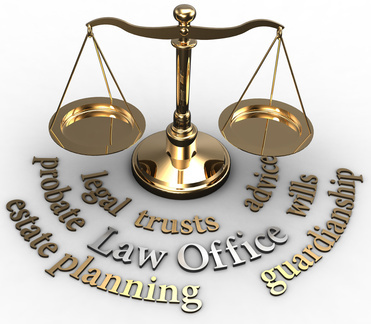 There are many other types of trusts designed for different situations. Most common trusts are easy to set up and can save you a lot of unnecessary expense later. Let’s take a look at a couple of scenarios that illustrate what I mean. A young, single woman with modest income will typically designate beneficiaries close to her immediate family in her will. Parents and siblings may be the primary beneficiaries, but some money might also be set aside for nephews and nieces. I had a client who fit this description once; she said that she wanted to set aside her cash on hand to leave behind for her sister’s children. A simple “pour over trust,” where the cash was directed to a trust instrument contained within her will, enabled her to do precisely as she wished. The trust also provided extra protection in the event of a catastrophe happening to one or more of the primary beneficiaries. The costs of the additional legal work necessary to place the trust language in her will was minimal. To keep the costs of managing the trust low, two family members were named co-trustees. A corporate trustee would only be named if both family members were unable to serve as trustees. She added a stipulation that the funds designated for her sister’s children would only be used for education (absent necessity). If this trust is activated, the management costs will be low. Two retirees, husband and wife, update their wills. Their daughter has recently given birth to their first grandchild. Imagine the retirees pick up their daughter after the birth of their grandchild, and imagine the child remains in the hospital attended to by the father. Not unheard of. Now, I hate to do this to the reader, but imagine a truck plows through an intersection. No one wants to think about the possibility of something like this happening, but tragedies like this are a reality. If multiple family members are involved in this type of accident and it is not possible to determine who passed away first, many questions get answered by statutory law. This prayerfully unlikely scenario could leave the newborn as the one legally entitled to an inheritance. The estate would continue to incur probate expenses for 18 years with the funds overseen by the Clerk of Court. We created a simple trust through language in the retirees’ wills that will prevent unnecessary probate expenses if the grandparents and parents were to be involved in such an accident. The trust only funds if the selected beneficiaries pass away before or simultaneously with the creator of the will. Trusts instruments have evolved to work as creative, cost effective solutions for modest estates, especially those exempt from estate taxes. Request a cost-benefit analysis to understand how they would be a welcome part of your estate planning solution.